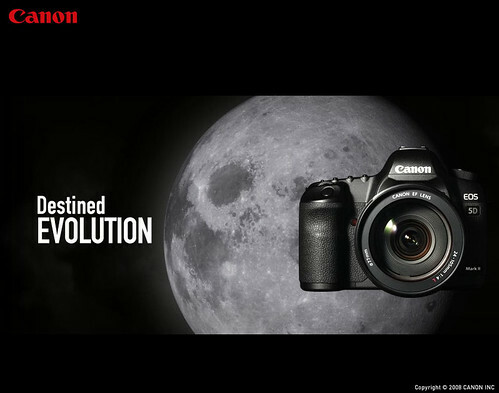 -The EOS 5D Mark II (body only) is available from end of November 2008 priced at £2299.99 / €2999.99 RRP inc. VAT. -The EOS 5D Mark II, EF 24-105mm f4.0L IS USM kit is available from end of November 2008 priced at £3049.99 / €3999.99 RRP inc. VAT. Something i read sometime ago which is very useful for people who just got into photography. The one most common question is why my shots are blur? wat shutter speed to use? It's pretty simple, basic rules is 1/x shutter speed, in which x = focal length. u using a 18-55mm lens, when shooting at 55mm you will need 1/55 s. However, due to the crop factor in digital body, we need to multiply with the crop factor. so instead of 1/55 s it becomes 1/88 s which is around 1/80s.